It is with a heavy heart that we announce the passing of our founder Mr. Don Bouwer. Don passed away late Tuesday afternoon at his home in Bradenton. Don was 86 years old at the time of his passing. In the 1970’s, Don started a company called Don Bouwer Fire & Safety Equipment. Don had many stories that he loved to share. Many have heard the beloved story of his first sale, a helmet strap that later turned into a sale of his first fire truck. He saw this as a testimony that if you take care of the little things for a customer they will trust you with the big things. Don’s commitment to serving customers with honesty and integrity was the catalyst that continued to grow the company. In 1985, Ten-8 Fire Equipment, Inc. was founded. Today, Ten-8 has grown to be a major United States distributor of fire and emergency apparatus and equipment. Don always felt that the employees were the company’s greatest asset. He was also quick to remind everyone that God owns Ten-8 and we have the privilege to run it. Don was a member of the Cedar Hammock Fire Rescue from 1956 – 1981. Don served faithfully in many roles from Firefighter to Assistant Fire Chief. Many of us knew Don as an influential leader, mentor and friend. 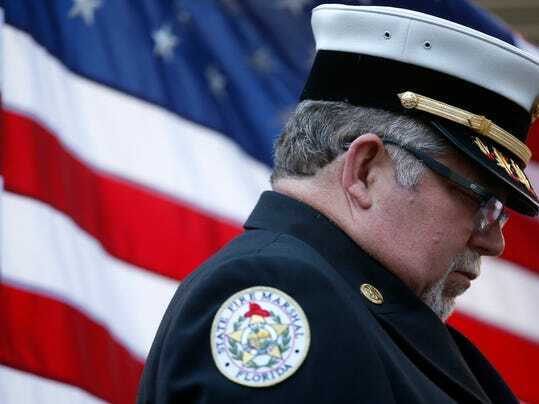 The impact he made in the Florida fire service was immense, verified when he received the lifetime achievement award from the Florida Fire Chief’s Association as one of only three individuals to receive the prestigious award. Don developed and maintained countless friendships with customers and vendors that he cherished greatly. Don leaves a legacy of influence that has touched so many people throughout the years. He was a man of strong faith, and shared openly his relationship with Jesus Christ. While we will miss Don, we are so thankful that he is now in heaven with his Lord and Savior. Please join me in praying for the Bouwer family as they deal with the loss of a great man. We will be in communication with the family and share information about formal arrangements as soon as they are available.